A pet shop boss has blasted the sneak thief who stole a snake bowl. The Scottish SPCA currently has 25 snakes desperately looking for their loving forever homes at their rescue and rehoming centres throughout Scotland this National Serpent Day. A woman from Australia has been bitten by a snake that was lurking in her toilet. Two women have appeared in court accused of injuring a snake on an Aberdeen street – by throwing it. 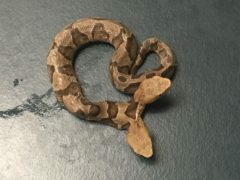 A rare two-headed snake has been found in the US and is now being looked after at a wildlife centre. A man has pleaded for information after his beloved pet snake escaped from its home. 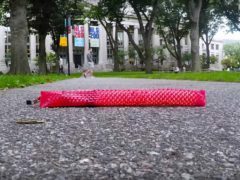 A new soft robot developed at Harvard can slither at up to 14 miles per hour after engineers were inspired by the movement of snakes. The owner of a Dundee reptile store has told of the moment he “died” in his shop — before being brought back to life. A woman was left shocked after finding a live snake attached to a pineapple she bought in Aldi. The Scottish SPCA was alerted to a dead snake in Forfar, only to discover it was a toy. ‘Shy’ Morphius is in Dundee and needs a new home. Can you help? The Scottish SPCA has a snake called Morphius in its care in Dundee. Can you offer him a home? The owner of a white albino corn snake has urged people in Dundee not to be scared if they see her. A janitor was given a shock after coming across a snake near his primary school. Children heading for school were in for an unexpected surprise this morning.